Liverpool duo James Milner and Fabinho are set to return to the Reds’ starting eleven for tonight’s meeting with West Ham United. Liverpool face Manuel Pellegrini’s side at the London Stadium as they look to re-establish a five point lead at the top of the Premier League table. The Reds will be without defensive trio Trent Alexander-Arnold, Dejan Lovren and Joe Gomez, who continue to be sidelined with injury. Jordan Henderson filled in at right-back for Liverpool’s 1-1 draw against Leicester last week, however the skipper is set to return to his usual midfield role against the Hammers. According to the Times‘ Paul Joyce, Milner, who was suspended against the Foxes, will return to start at right-back. He will join Joel Matip, Virgil van Dijk and Andy Robertson in the Reds’ back-line. Fabinho is also set to return to the side after being on the substitutes bench against Claude Puel’s side, replacing Naby Keita in the middle of the park. The Brazilian will partner Henderson and Gini Wijnaldum, who continues in his usual role. Xherdan Shaqiri is expected to join Keita on the bench. Liverpool are likely to return to a 4-3-3 formation, with the usual attacking trio of Mohamed Salah, Roberto Firmino and Sadio Mane starting up front. Meanwhile, West Ham could be without Samir Nasri and Marko Arnautovic, both who are suffering knocks ahead of tonight’s fixture. Predicted Liverpool XI (4-3-3): Alisson, Milner, Matip, Van Dijk, Robertson, Fabinho, Henderson, Wijnaldum, Mane, Firmino, Salah. 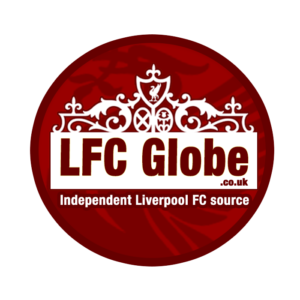 You can keep up with all the drama from the London Stadium via LFC Globe’s live match-day coverage.